My name is Paula Muldoon, sometimes known as Fiddler’s Code. 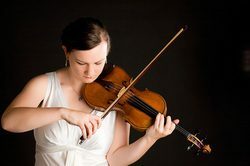 I am a software engineer and violinist. I write music and blogs, and I care about mental health and diversity in tech. If you’re here, you probably have similar interests, so why not get in touch? Newsflash! I’m now on Spotify and Apple Music – have a listen!